Birdy has two grandmothers. One grandma lives nearby and she meets her every Sunday. The other grandma lives in a box and talks with her twice a week. As for many multicultural families, whether to expose our baby to technology was never really a matter of discussion. As her grandparents live in a different country, Birdy made her first appearance on Skype when she was only two days old. All things considered we are pretty lucky – it’s only a 1,5 h flight between Hamburg and Riga and in these 1,5 years Birdy has visited (or has been visited by) her Latvian grandparents five times. Nevertheless, for most of the time the Latvian grandma lives in a box, i.e., talks to Birdy through a computer screen. 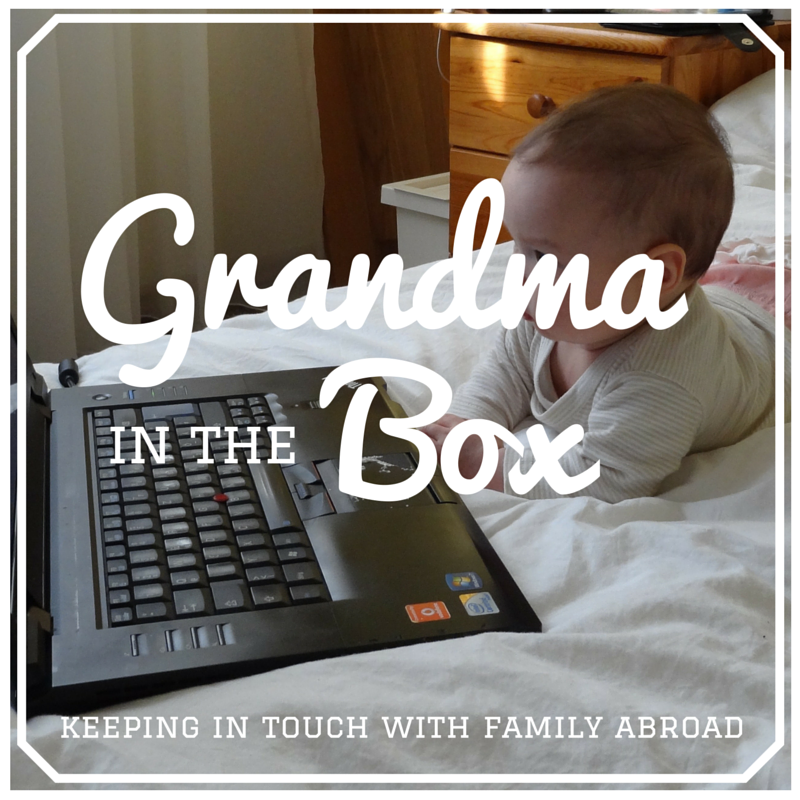 There have been times when we could not help but wonder whether we are completely confusing the little one, and whether she realizes that the grandma in the box is the same one who cuddles her when she visits. While in her first half a year or so Birdy didn’t interact with the person on the other side of the screen, things have been picking up since then. Now, at the age of 1,5 years, Birdy clearly knows the difference between people on TV and people on Skype. She is excited to go to the computer to talk with her grandparents, greets everyone with bright smiles and often tries to demonstrate the new things that she has learned, be it clapping or a new word. She has also learned that it’s no use to try passing toys to her grandma in the box, something that was a big disappointment after our visit to Latvia shortly after her first birthday. Rather unsurprisingly, Birdy doesn’t have the attention span to sit through a long conversation but she never wanders far and always runs back to the computer to wave bye bye and send an air kiss (I still have no clue where she learned the latter, certainly not from me). Fortunately, our concerns about confusing our baby with digital communications technologies appear to have been unfounded – those little brains can be faster in figuring things out than we give them credit for! This post is part of the Raising Multilingual Children blogging carnival. This month it is hosted by Rita from Multilingual Parenting and the topic is “Bilingual children and long distance family relationships“. Check out the other posts on Rita’s page!